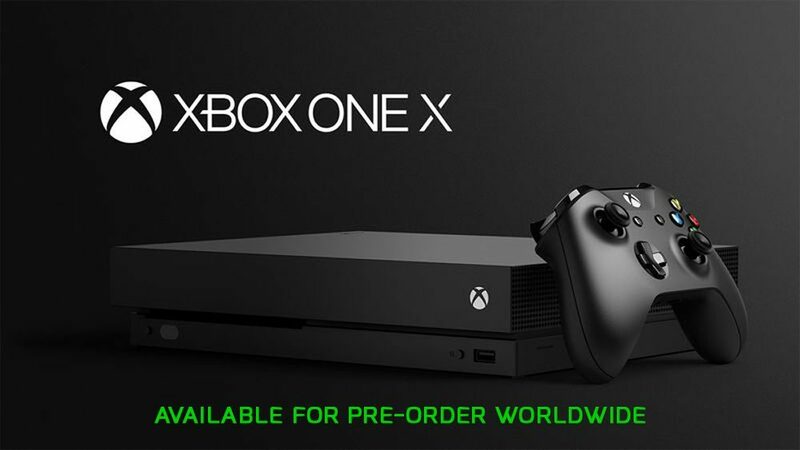 Xbox One X is a console of the world of the video games developed by Microsoft and that was first revealed in Electronic Entertainment Expo in June and has been available until now like the special edition of “Project Scorpio” which sold quickly when Microsoft started a promo during the Gamescom conference last month. Microsoft plans to launch Xbox One X on November 7 worldwide. However, the company today announced the availability of pre-ordering the standard version of the new console. the company says that the Xbox One X Black standard prefeeders will be available from local retailers around the world as well as through its own website and Microsoft store. The console will be sold for $ 499 in the US. with 1TB of storage, and will begin shipping worldwide on the same release date; that is to say, from the 7 of November. With more widely available preorders now, Microsoft is also taking the opportunity to unveil its growing list of “enhanced” games for its Xbox One. One of the new details of the new console is that it has a faster processor and more memory being able to run games with a resolution of up to 4K and 60 frames per second. Microsoft will denote that a game is using the extra power for one or more of these upgrade options through a special logo.